Miss Dream » Blog » RunRun this week! Anyway, another Miss Dream update is here! 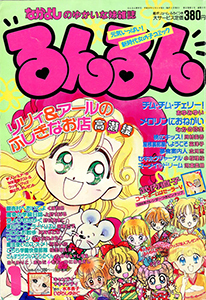 This week we bring you another full issue of RunRun, featuring Sailor Moon, from 1994! While the musical’s running (or not), I suggest you to follow Sailor Busters on twitter for photos of the cast, making selfies and actual musical shots. They are so kawaii in each of them!